Taiwan based HTC says that when it comes to its handsets, thin is in. The handset manufacturer says that its customers have told them that a thin form factor, like that seen on its HTC One series, is appreciated more than longer lasting batteries. The tech manufacturer's Bjorn Kilburn, the man in charge of the firm's Portfolio Strategy, says that somewhere lies a balance between a thin device that gets the public excited, and room for a larger battery that gives users a full day of heavy usage without requiring a recharge. 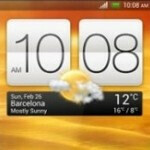 HTC says that it has no plans on the table to disseminate a firmware update that would specifically improve the life of the battery on the HTC One X (1800mAh), HTC One S (1650mAh) or the HTC One V (1500mAh). 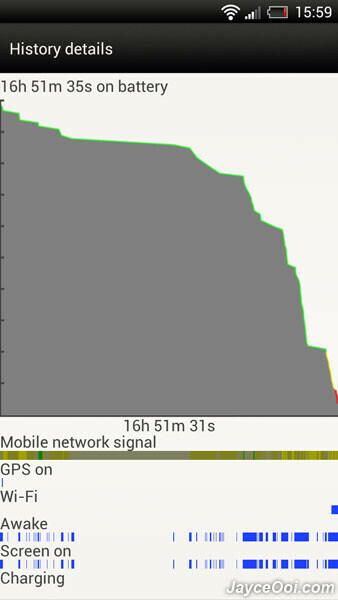 The high-end flagship HTC One X has a power management problem as we told you. A developer of a custom ROM for the device blames the problem on a misplaced NVIDIA app which was installed in the wrong folder. The problem is draining 10% to 20% of the unit's battery life when users need every second that they can squeeze out of the cell. The good news is that HTC has released a software fix that will eliminate the power management problem and restore the 10% to 20% battery life that had been lost. The update also repairs bugs that caused the phone to reboot or freeze. So what would you rather see in your smartphone, a thin sleek design that turns heads or a larger battery that turns on at the end of the day after constantly being in use during working hours. Drop us a comment in the box below. yeah, you guys just don't know what you're missing. i do wish that Moto would reach out more to the other carriers. Non-removeable battery and the Razr's huge border are two big concession. As is its pitiful display. hur hur, okay, let's knock on the 2011 phone for it's non-HD display. that's fair. Watching movies on netflix on my RAZR is MUCH better than watching them with my 4th gen iTouch. Trust me when you see a movie on the RAZR you will see the screen is quite beautiful. Why don't you watch the movies on a big screen TV and use the phone... as a phone?! You're a movie watcher - level asian? F* phones, my eyes worth more; one must be really masochistic to watch movies on a 15" laptop display, to watch them on a 7-10" tablet is stupid and to watch them on 4-5" phone is the highest level of dumbness. Agree: it's not stupid, it's dumb. Ugly design, last year's display, dual-core, and worse camera. Other than that, no concessions. it's a very small one IF you even pay attention to it. ugly design you say, yet you have the evo 3d for your avatar? My phone doesn't have more bezel than screen space, it actually has very little bezel. If that's what you want, its a free country and you can have that or even an iPhone if you think its better, but it doesn't mean it is. But you pay because Motorola has an irrational hatred of homebrew ROMs and developers. I personally prefer a longer lasting battery than a super slim phone. Like previous comment the Droid Razr MAXX was a great example. I agree but would like to phrase it better, we shouldn't have to choose between the two options. Phones should have both a long lasting battery life as well as s slim profile. RAZR MAXX is a great example but I think that the technology needs to improve as well. The S4 being better at not draining the battery is a step in the right direction. @ KingKurogiii exactly i wonder what customers there are talking about, Htc phones had always have 1 major problem and thats the battery life if they fix this they will surly sell more phone, and thats common sense. I guess I just been so accustomed to battery life not lasting, I have charger at my desk. I want longer lasting battery and keep it slim, I carry phone in my shirt pocket most of the time. Both, I want both. I agree with Captain_Doug if the Razr Maxx can squeeze in a battery why not HTC? If his statement is true, this proves once more that average people (big majority) is more concerned about look than functionality and that's what cell phone companies are more compelled to work on. Geeks? Who cares... we want $$$.